If I haven't grown up yet, I never will. So it starts like this. 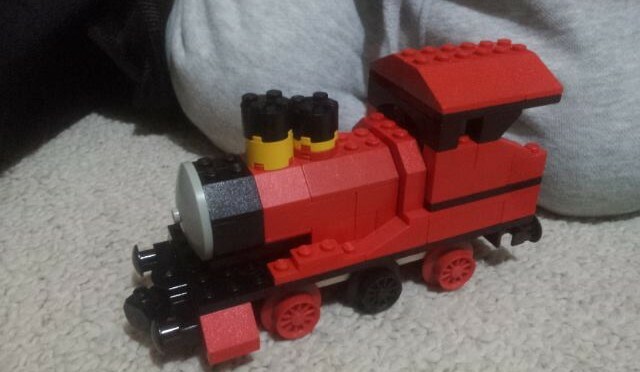 My 2yr son likes trains, especially Thomas and I have always liked Lego. A few months ago we went to a model train expo and they had a Lego display featuring Thomas and James. I was inspired. So I pulled out my old Lego train sets and begun to build. Nothing special as I’m using bricks from the 80’s. The only feature of it is the half brick offset between the cabin and the boiler. My son loved it and so begun my journey into the land of Thomas the Tank Engine and curved Lego bricks available these days . Next Next post: The Tumbler – 2 kilos of black bricks.